Dada JP Va. . . The spiritual powerhouse, Dada Jashan Pahlajrai Vaswani, passed away in Pune, on the morning of 12th June 2018. He was more commonly known as Dada JP Vaswani. The primary reason for his departure was cited as 'old age'. He was an eminent spiritual leader with lacs of followers. People not just from India, but from foreign countries as well, gathered to offer their condolences and prayers. Dada was the devotional head of the Sadhu Vaswani Mission. This NGO was founded by his guru Sadhu T.L Vaswani. It is headquartered in Pune and involves itself in charity and social work. 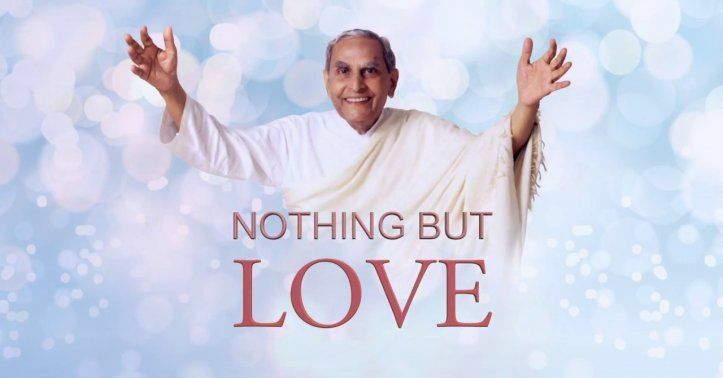 As a spiritual leader, Dada Vaswani has had been mostly applauded for his work as a philanthropist, philosopher, academic guide and a rhetoric writer and speaker. Dada JP Vaswani was born on August 2, 1918, in Pakistan’s Hyderabad city. His formal education started at the age of 3. He was an excellent and a first-rate student. He continuously received a number of double promotions throughout his educational career. Following which he was able to wrap up his education much earlier than others. For this reason, he was able to qualify as a graduate at the early age of 17. Dada JP Vaswani, while pursuing his Masters in science, was also observed and praised by the great Nobel laureate Dr. C V Raman. After completing his education, the world of resplendent career opportunities lay open to him. He was offered with a principal's as well as a lecturer's post. But Dada Vaswani decided to take the "road less travelled". He accompanied his guru and dedicated all his life to him at the age of 21 itself. After taking a quantum leap into spirituality, he has written over 100 books in Indian as well as in different foreign languages. The core concepts of his writing work included happiness, forgiveness, spirituality and peaceful living. He started to walk on the spiritual pathway, setting milestones one after another, of love, peace, and harmony for audiences worldwide. In India, Dada Vaswani was highly praised for heading the Sadhu Vaswani Mission, Pune. His organization also runs many hospitals and educational institutions all over the nation. He firmly trusts that an all-new sensible ecosystem can only be constructed by investing in a value-based education and service to mankind. His thoughts and spiritual work are being followed by eminent leaders of India like President Ram Nath Kovind, Prime Minister Narendra Modi, BJP's veteran leader Lal Krishna Advani and many more. The first citizen of the country (President) also inaugurated the Sadhu Vaswani International School in May 2018. Many Bollywood Stars like Aamir Khan, Karan Johar, Kabir Bedi also received Dada's blessings. He was also associated with the World's first Parliament of Spirituality which was held in Hyderabad, and many other spiritual forums on the national level. Dada JP Vaswani had eloquently addressed a large number of worldwide global forums on forgiveness. He also actively promoted vegetarianism, love, harmony, and peace. He had spoken at prominent venues including the United Nations Organization (UNO), World Parliament of Religions - Melbourne South Africa and Chicago, Global Forum Of Spiritual and Parliamentary Leaders on Human Survival, Oxford, The World Vision 2000, Washington, the House of Commons in London. His selfless work is also praised by the supreme fountainhead of knowledge, the 14th Dalai Lama. Dada Vaswani Ji, under the tutelage of his guru Sadhu Vaswani Ji, spearheaded the mission of preventing animal violence. Both Sadhu Ji and Dada Ji started safeguarding animal rights from 1986 onwards. It is the first step towards World Peace said, Sadhu Vaswani. It is the birthday of Sadhu Vaswani, which is now celebrated as International Meatless Day. This day is marked to make people aware that one of the major reasons for serious health issues is the consumption of meat. And it also urges people to stop killing animals for satiating their personal appetite. Dada Vaswani was admitted in Pune's hospital for a few days, following his old-age complications. He was discharged from the hospital on Wednesday night. On the next morning, Dada JP Vaswani took his last breath at his abode in Sadhu Vaswani Mission. He was 99 years and 11 months old. The world and his mission members were highly engulfed in arranging a grand celebration for his 100th birthday. PM Narendra Modi was expected to attend this ravishing event. "I am saddened beyond words on the passing away of Dada JP Vaswani. He lived for society and served the poor and needy with compassion. Blessed with immense wisdom, he was passionate about educating the girl child, cleanliness and furthering peace as well as brotherhood," PM Modi said in a tweet. Dada Vaswani's mission resonates resoundingly with life positive's ideology. We celebrate the life of Dada Vaswani and will remember him for all the deeds he did for saving humanity. His efforts in the field of spirituality can never be replaced by anyone. For this, we shall always hold Dada JP Vaswani in the highest regard. May his immortal soul rest in peace. Shivam Agarwal is an avid writer with Lifepositive.com. He is a Journalism Student and thus a curious observer of everything that goes around and comes around. Being interested in politics, Shivam firmly believes that politicians should be the first to be related to spirituality and self-healing techniques. So that, the herculean possibilities of transforming India, starts to fluctuate at a rapid growth rate.